Trepanation, or trephination (both derived from the Greek word trypanon, meaning “to bore”) is perhaps the oldest form of neurosurgery. The procedure, which is called a craniotomy in medical terminology, involves the removal of a piece of bone from the skull. It has been performed since prehistoric times: the oldest trepanned skull, found at a neolithic burial site of Ensisheim in France, is more than 7,000 years old, and trepanation was practised by the Ancient Egyptians, Chinese, Indians, Romans, Greeks and the early Mesoamerican civilizations. The procedure is still performed today, for both medical and non-medical reasons. The trepanned skulls found at prehistoric European sites contained round holes, which varied in size from just a few centimetres in diameter to nearly half of the skull. They are most commonly found in the parietal bone, and also in the occipital and frontal bones, but rarely in the temporal bone. In the earliest European skulls, the holes were made by scraping the bone away with sharp stones such as flint or obsidian; later, primitive drilling tools were used to drill small holes arranged in circles, after which the piece of bone inside the circle was removed. The late Medieval period saw the introduction of mechanical drilling and sawing instruments, whose sophistication would continue to increase for several hundred years. There is a great deal of speculation about why ancient civilizations used trepanation, but it is almost certain that all the peoples who used it did so because they somehow linked the brain with behaviour. Some anthropologists suggest that trepanation was performed as part of tribal or superstitious rituals. Other researchers believe that the procedure was used as a treatment for conditions such as headaches, epilepsy, hydrocephalus and mental disorders. These were presumably attributed to possession by evil demons; making a hole in the skull would therefore have provided the spirits a passage for escape. But although the reasons for trepanning and the instruments used for the procedure differ with time and from culture to culture, the result is always the same: a hole in the head, usually made when the individual was fully conscious and, often, unanaesthetized. Trepanning was (and still is) carried out even in the absence of head trauma; hence, there is uncertainty about the reasons for its use in prehistoric times. It has been suggested that trepanation was used specifically to treat depressed skull fractures, and there is historical evidence that it was used for medical reasons. For example, the ancient Greek physicians used various instruments for trepanning, including the terebra (right). The way this instrument was used is easily inferred from its structure: the cross-beam was used to wind the thong tightly around the central beam; when released, it would cause the sharp conical end of the centre beam to rotate quickly. Applying downward pressure on the instrument would then cause it to bore through the skull. This instrument may have been used to drill single small holes, but it is more likely to have been used to make multiple holes arranged in a circle. The piece of bone within the circle was thus made easier to remove. …the contusion, whether the bone be laid bare or not; and the fissure, whether apparent or not. And if, when an indentation by a weapon takes place in a bone it be attended with fracture and contusion, and even if contusion alone, without fracture, be combined with the indentation, it requires trepanning…those [bones] which are most pressed and broken require trepanning the least. The first specimen of a trepanned skull was found in 1685 by Bernard de Montfauchon at a site in Cocherel, France, but its importance was not recognized. In 1816, a second specimen was found by Alexander Francois Barbie du Bovage at Nogentles-les-Vierges. This time, it was recognized that the skull had belonged to an individual on whom a craniotomy had been performed, apparently years before his death. However, the second specimen was considered to be exceptional, and little thought was given to why the skull had been perforated. In 1839, Samuel George Morton depicted a trepanned skull in his book Crania Americana, but mistakenly assumed the hole had occurred as the result of a battle wound. Although the second specimen to be found was recognized as a craniotomy, the real significance of the skulls had escaped scientists and physicians. 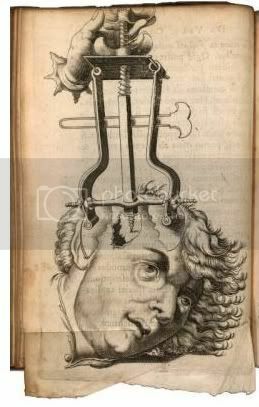 It was not until the latter half of the nineteenth century that investigators began to appreciate the significance of trepanation. Ephraim George Squier (1821-1888) had acquired a specimen of a trepanned skull, and brought it to the attention of the scientific and medical communities in America and Europe. Squier was a self-taught archaeologist and a respected writer and journalist, who was appointed by Abraham Lincoln to act as the U. S. Commissioner to Peru. He first encountered the now famous specimen during a visit to the home of a wealthy woman, in the Peruvian region of Cuczo. As he marvelled at the woman’s collection of artifacts - which he later described as the finest collection of pre-Columbian art in Peru - Squier noticed a fragment of a skull containing a square hole measuring 15 x 17 mm (top left). He immediately recognized that the hole was man-made. …the most important relic in Señora Zentino’s collection is the frontal bone of a skull, from the Inca cemetery in the valley of Yucay, which exhibits a clear case of trepanning before death. The señora was kind enough to give it to me for investigation, and it has been submitted to the criticism of the best surgeons of the United States and Europe, and regarded by all as the most remarkable evidence of a knowledge of surgery among the aborigines yet discovered on this continent; for trepanning is one of the most difficult surgical processes. The cutting through the bone was not performed with a saw, but evidently with a burin, or tool like that used by engravers on wood and metal. The opening is fifty-eight hundredths of an inch wide and seventy hundredths long. An illustration of the operation of Trepan, from Illustrations of the Great Operations of Surgery: Trepan, Hernia, Amputation, Aneurism and Lithotomy, by Charles Bell, 1815. Squier left Peru, and took the skull fragment to the New York Academy of Medicine, where he asked Dr. August K. Gardner to examine it and present it to the other members of the Academy. At the time, the relationship between brain size, race and intelligence was a hotly debated topic in scientific academies around the world. The general consensus among academics was that the three factors were intimately linked: non-whites were less intelligent than white because they had smaller skulls and brains. There was, therefore, great interest in the skull that Squier had acquired, as it provided the first evidence for trepanation in an ancient and “primitive” culture. The skull showed that during the patient’s life an operation for trephining had been performed, a square-shaped piece of bone having been removed from the frontal bone, by what would appear to have been a gouging instrument. At one portion of the opening there seemed to be evidence of the attempt on the part of nature to form new bone, to repair the injury done by the operation. There is no fracture or fissure of either external or internal table…and the surgeon who performed the operation could consequently only be governed by functional troubles when diagnosing the existence of an intra-cranial lesion. Was this diagnosis correct? Did the operation succeed in evacuating a fluid poured into the cranium? I am far from affirming this, but am tempted to believe it. In effect, the internal table around the opening is the seat of a very different alteration from that which existed on the external table around the denudation…These peculiarities and several others, which would take too long to detail, are well explained, if we suppose that there had been for some days before the operation an effusion of blood under the dura mater. What astonishes me is not the boldness of the operation, as ignorance is often the mother of boldness. To trepan on an apparent fracture at the bottom of a wound is a sufficiently simple conception and does not necessitate the existence of advanced surgical arts. But here the trepanning was performed on a point where there was no fracture, and probably not even a wound, so that the surgical act was preceded by a diagnosis. Whether this diagnosis was correct, as is probable, or false, we are in either case authorized to conclude that there was in Peru, before the European era, a surgery already very advanced - and this entirely new notion is not without interest for American anthropology. Broca also experimented with trepanation himself. He found that a hole could very easily be made in the skull of a deceased 2-year-old child; using a simple glass scraper, the procedure took him about 4 minutes. But the same procedure took about 50 minutes when performed on a skull from an adult. (Young childrens’ crania are easier to perforate than those of adults because the process of calcification is not yet complete.) Broca therefore wrongly assumed that the Incas usually performed trepanation on the young. By 1867, following the presentation of Squier’s specimen in New York, and Broca’s publication of his observations of the skull fragment, there was increasing interest in trepanation. Because of Squeir, investigators finally began to This led search for more specimens and subsequently, hundreds of trepanned skulls would be found in every corner of Europe. One French site, for example, contained 120 skulls, 40 of which had been trepanned. The specimen Squeir had obtained came from the Cuczo region of Peru, where many other trepanned skulls have since been found. At one Paracas Indian necropolis located south of Lima, for example, 10,000 complete and well-preserved bodies were found. They belonged to the Incas and to the pre-Inca Tallan and Mochica cultures; around 6% had been trepanned, and many contained multiple holes. From these subsequent discoveries it is clear that the square opening in Squeir’s specimen - which is housed at the American Museum of Natural History in New York and is now dated to 1400-1530 - is not at all unusual. In both pre-Inca and Inca cultures, trepanation was performed using a cermonial knife called a tumi (above right). 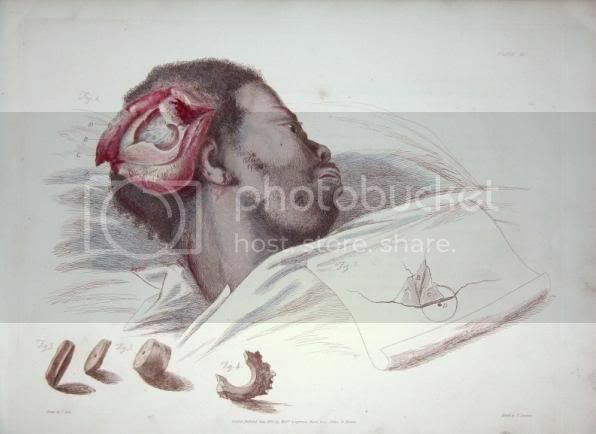 The patient’s head was held tightly between the surgeon’s knees, and the tumi blade, which consisted of a sharp piece of flint or copper, was then rubbed back and forth along the surface of the skull. In this way, four incisions arranged in a criss cross pattern, were made in the skull (these are clearly visible in Ephraim’s drawing at the top). The tumi blade increased in thickness close to the sharp edge, thus it was prevented from suddenly penetrating the skull to far. When the incisions were deep enough, the square-shaped piece of bone in the middle of the criss cross was prized out from the skull. An exact survival rate cannot be determined, but the presence of multiple holes in many of the Peru skulls suggests that the individuals survived more than one procedure; some estimates, based on the rate of bone growth seen around the holes in the skulls, put the survival rate at greater than 60%. The Aztecs used similar trepanning instruments, consisting of a sharp semicircular piece of obsidian attached to a wooden handle. 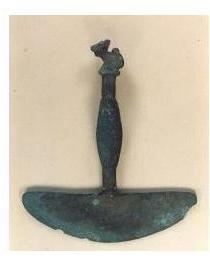 Some copper and bronze instruments have also been found, sometimes with ornate and elaborate handles. Abu al-Qasim al-Zahrawi (Latinized as Albucasis) provides descriptions of the instruments used by Arab surgeons in the twelfth century. A sharp pointed borer was used to make small holes arranged in a cirlce, and another with a spear-shaped head was then used to remove the round piece of bone in the middle. Ambroise Paré (1517-1590), a barber-surgeon who often operated on the battlefield, employed trepanning instruments that had braces or drill stocks to which saws were attached with binding screws. 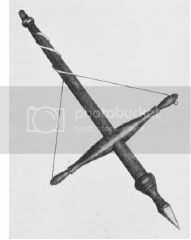 In his treatises on surgery, Paré also described “trepanes or round saws for cutting out a circular piece of bone with a sharp-pointed nail in the centre projecting beyond the teeth,” and another trepan with a transverse handle. The mechanical cogwheel trepan (above left) was invented by Matthia Narvatio in Antwerp in 1575. The cogwheel was connected to a second wheel which rotated a circular saw that cut through the bone. 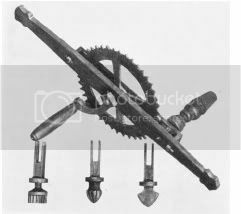 This instrument was used much in the same way as a modern hand drill - held in one hand and cranked with the other. But it was extremely heavy and cumbersome, and therefore did not become popular among the sdurgeons of the time. Before we use the females, we must make a print on the skull with the male so that the female may stand faster upon it. Now for to trepan the skull the Chyrurgian must have at hand at least three trepans exactly equal to each other; one male and two females, so that he may oft-times change them. I met [someone who] used to stand on his head…for considerable periods of time. When I asked him why he did it, he said it got him high. [Later, I was given] some mescaline, and it was then that I got my first clear picture of the mechanism, realizing that it was the increase in the volume of brainblood [sic] that gave the expanded consciousness…[which] must have been caused by more blood in the brain which meant there must have been less of something else. Then I realized that it must be the volume of cerebrospinal fluid that was decreased. …I thought about making a hole at the base of the spine to let the fluid out, and while thinking about holes I realized that pressure was necessary to squeeze the cerebrospinal fluid out of the system. Then, having concluded upon the nil pressure inside the adult skull (in most people the skull seals between the ages of eighteen and twenty-two) I saw that any hole in the bony surrounding of the system would give the pressure back. But after a time I realized a hole in the spine would heal over so it had to be in the skull, where holes stay open. In 1965, Hughes famously performed a trepanation on himself using an electric drill, a surgical knife and a hypodermic needle to administer a local anaesthetic. He has followers who have also performed self-trepanation, or have asked friends to do it for them. 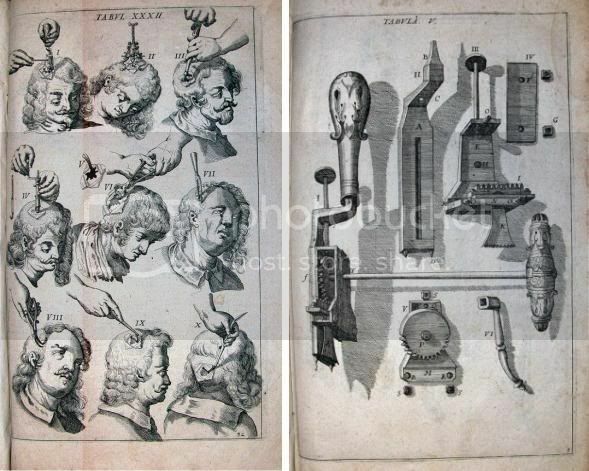 Two prints from Armamentarium chirurgicum, by Johannes Scultetus (1655), showing how trepanation was performed (left) and a set of trepanation instruments (right).